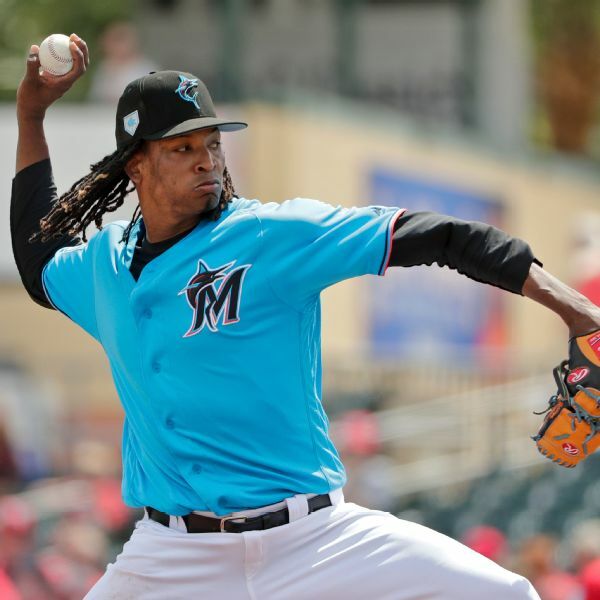 Jose Urena is getting a second chance for a first impression as the Marlins' Opening Day starter, manager Don Mattingly announced Thursday. 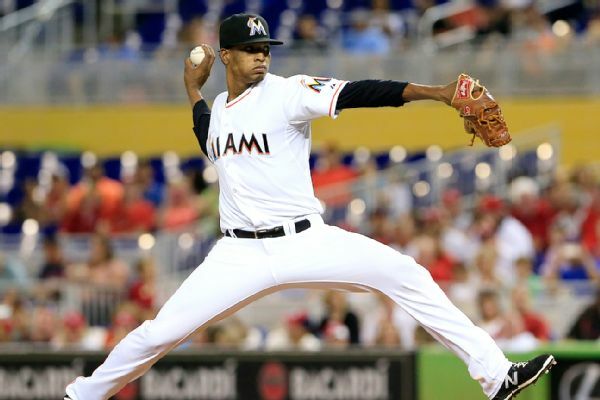 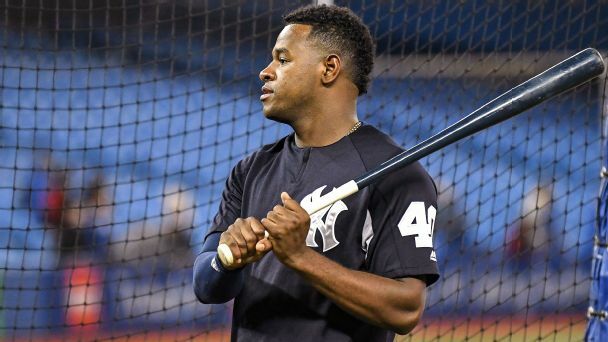 Miami right-hander Jose Urena has dropped his appeal of his suspension for beaning Atlanta rookie Ronald Acuna Jr.
Marlins pitcher Jose Urena is appealing his six-game suspension for intentionally hitting Ronald Acuna Jr. of the Braves with a pitch. 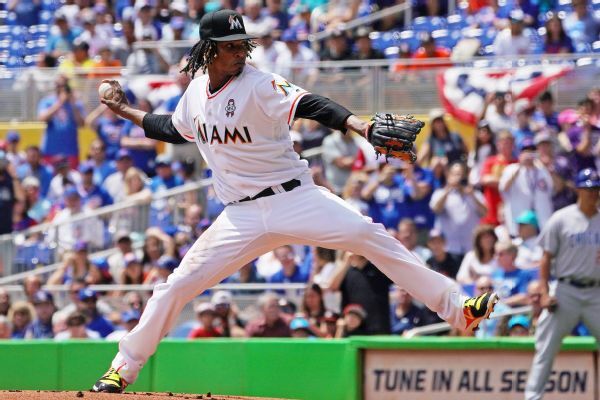 Marlins starting pitcher Jose Urena has been suspended for six games for intentionally hitting Braves rookie Ronald Acuna Jr., who had homered in five straight games, including the previous three against Miami. 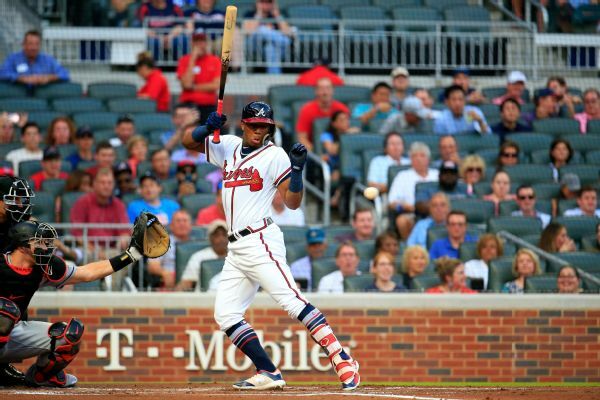 Ronald Acuna Jr. singled in his return to the Braves on Thursday, less than 24 hours after he was plunked in the left arm by Miami's Jose Urena. 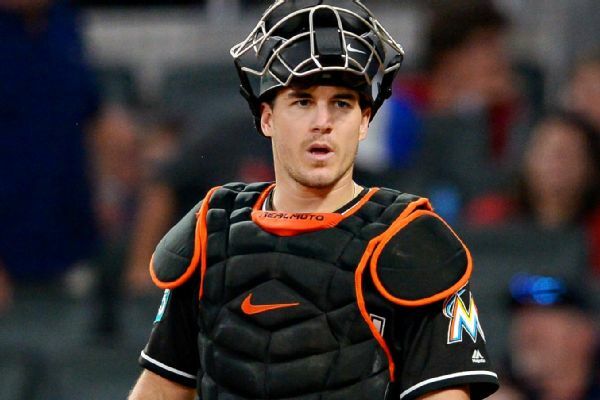 But his bid to become the first player in team history to homer in six straight games proved unsuccessful. 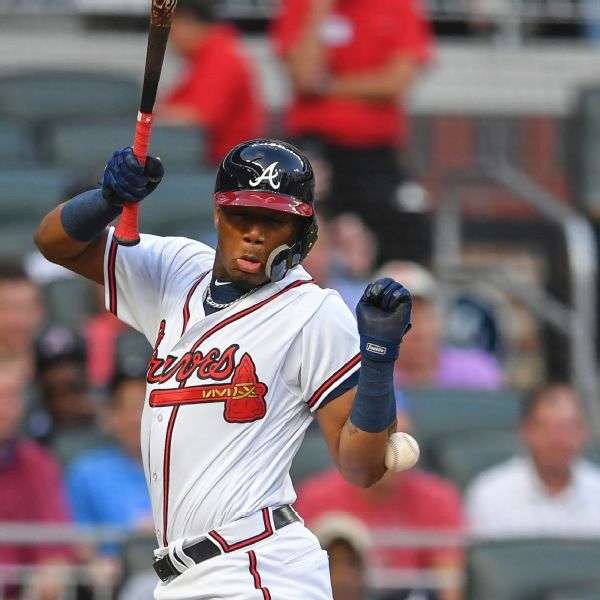 Braves rookie Ronald Acuna Jr., who had homered in five straight games, was hit by the first pitch thrown by Marlins starter Jose Urena on Wednesday night, sparking a melee that led to benches and bullpens for Atlanta and Miami emptying twice. 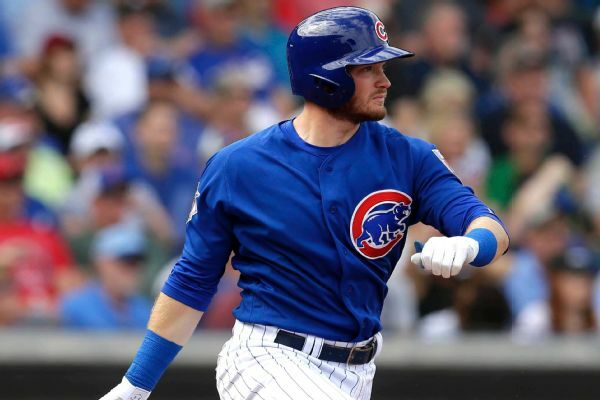 Cubs leadoff man Ian Happ hit a home run on the first pitch that came his way, off the Miami Marlins' Jose Urena.